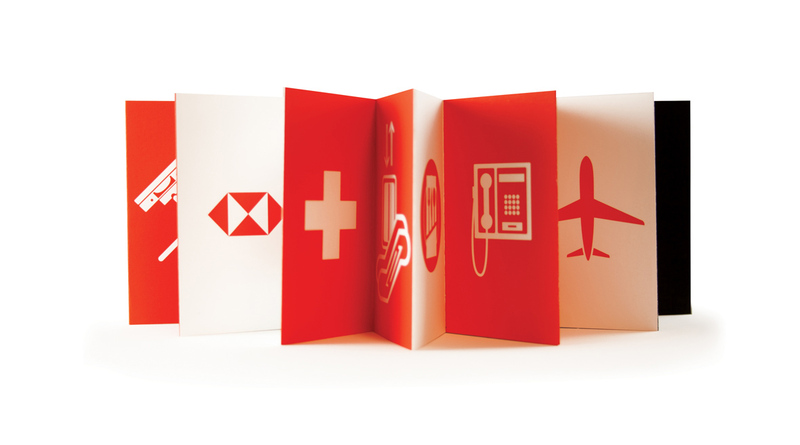 The new HSBC Platinum card campaign aims to bring silver and gold card members to upgrade to the Platinum card. To do this, the big idea has to be built around the best perk a cardholder can benefit from it—travel. 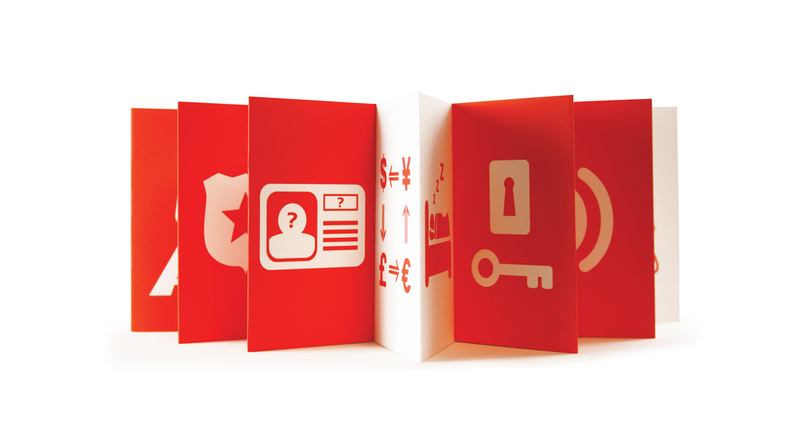 HSBC Bank wanted to produce direct mail material to encourage HSBC Classic and Gold Card users to upgrade to the HSBC Platinum Card. 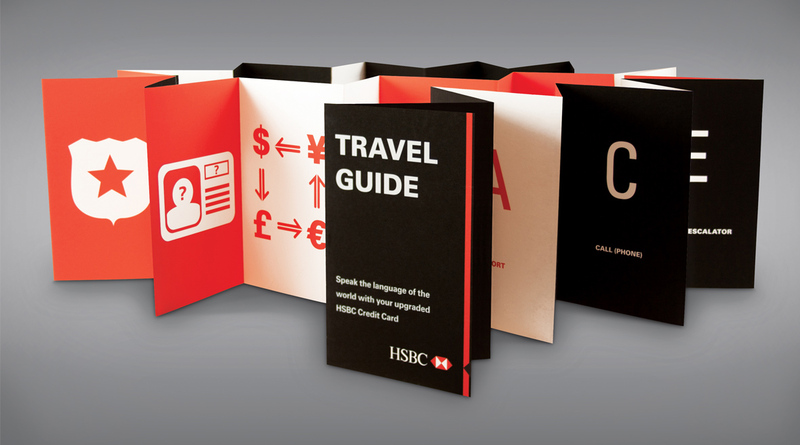 Instead of merely sending out a simple brochure announcing the upgrade, my team decided to provide card holders an HSBC Travel Guide. 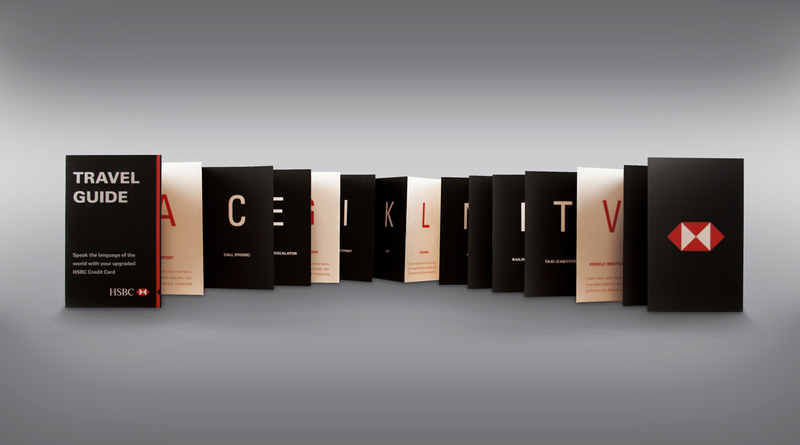 The travel guide came about from the insight that travelers sometimes have a difficult time communicating to other people in a foreign country. 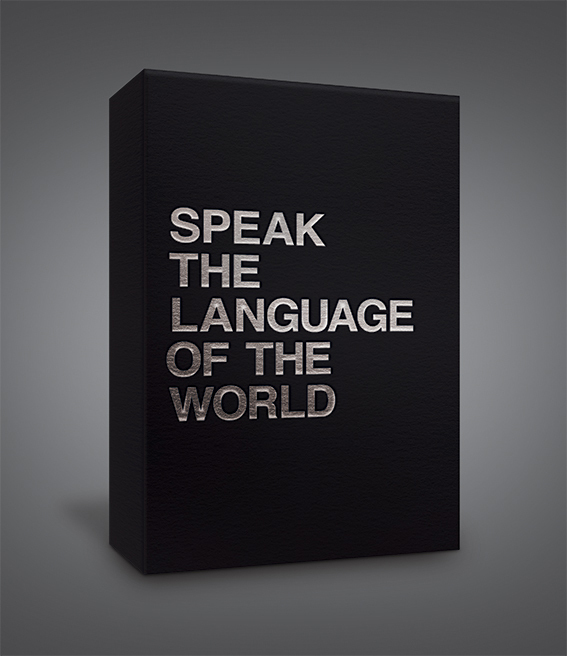 The primary reason is the language barrier. 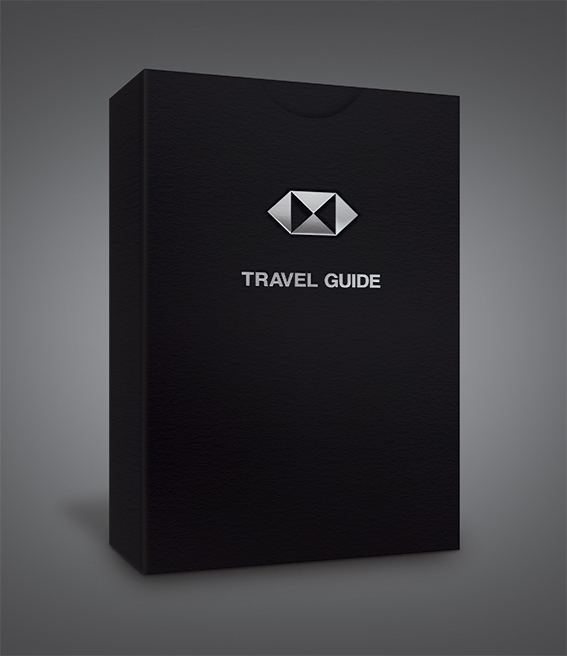 Not only will HSBC bring you closer to your next trip through the Platinum Card, HSBC will also help you speak the language of the world through an A to Z pocket-sized travel guide. 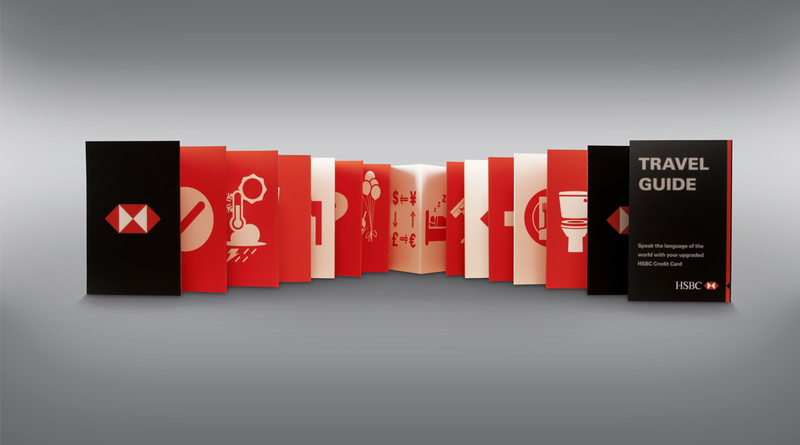 It displays easily recognizable icons and images often used during travels.